The Airvac is a robust, compact, highly efficient pneumatic recovery unit, designed to work on clean-up operations. 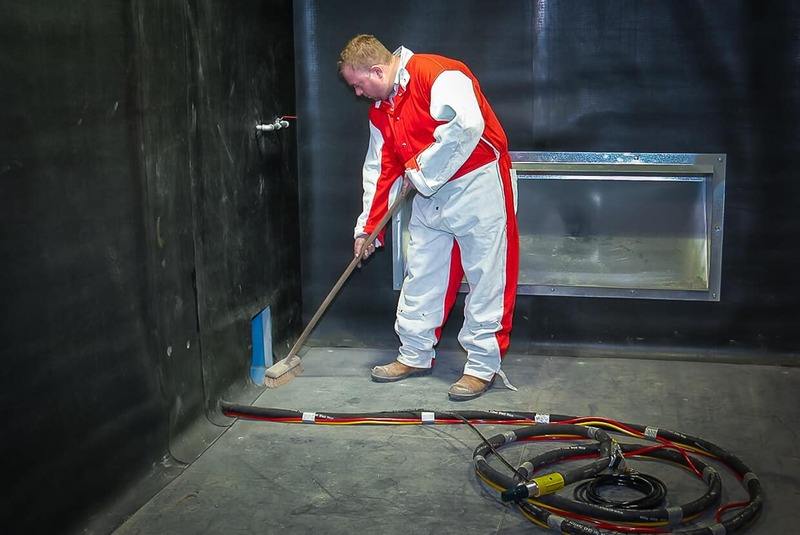 The Airvac is capable of recovering spent abrasives or any other form of solid materials, ranging in size up to 20mm over a distance of up to 30m. The unit is fully air-operated and only requires 250cfm of air at 85psi pressure (7m3/min. at 5.8bar). No other form of power is required to operate the unit. A simple modification converts the Airvac into a ventilation unit for ducting air from tanks, etc. 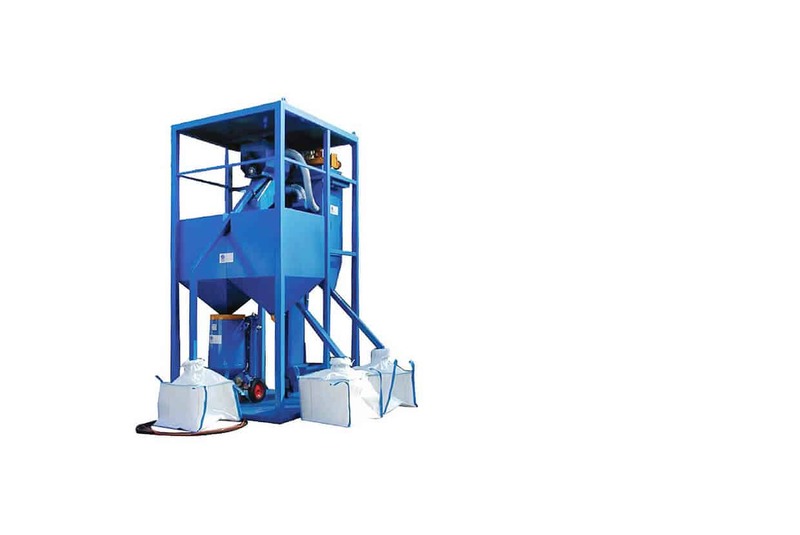 Suction and hoses suitable for conveying all bulk materials and blasting media. Reinforced and flexible hose for light cleaning. PVC vacuum hose for industrial cleaning. Light rubber hose for the suction of abrasive materials. Durable rubber hose for heavy duty suction and retrieval. 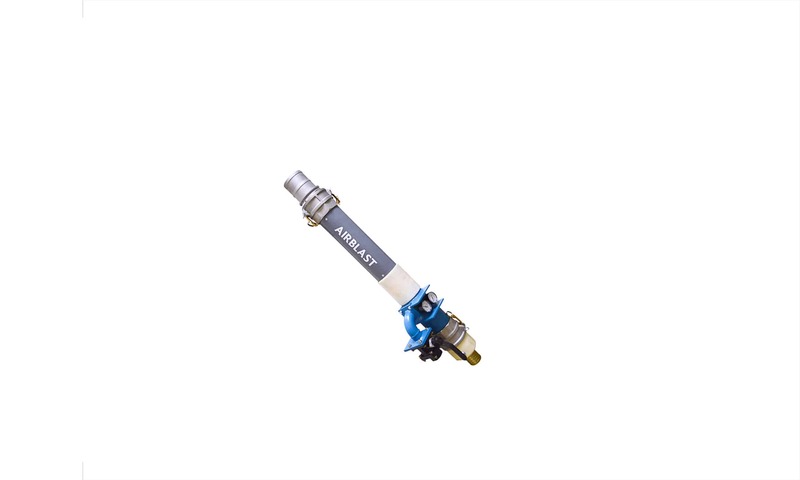 In addition, we also offer a full range of couplings, connectors, and suction hose manifolds. To view a PDF brochure of the Airvac, please click here. 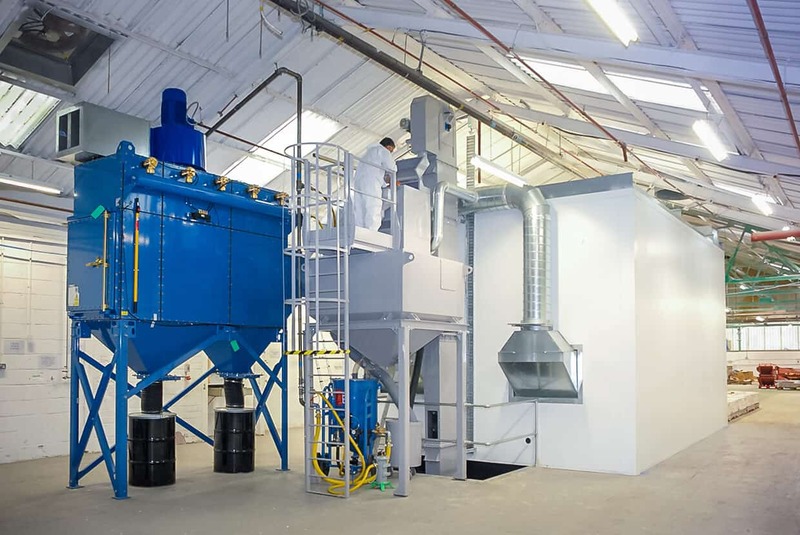 The Airvac with Cyclone Separator is a compact air-operated vacuum system that recovers abrasives for recycling. It is both efficient and cost effective. The Airvac can produce above 14″ Hg of vacuum when connected to an air supply of 250 cfm at 80 psi. At these levels 5-6 ton per hour recovery rates can be attained. 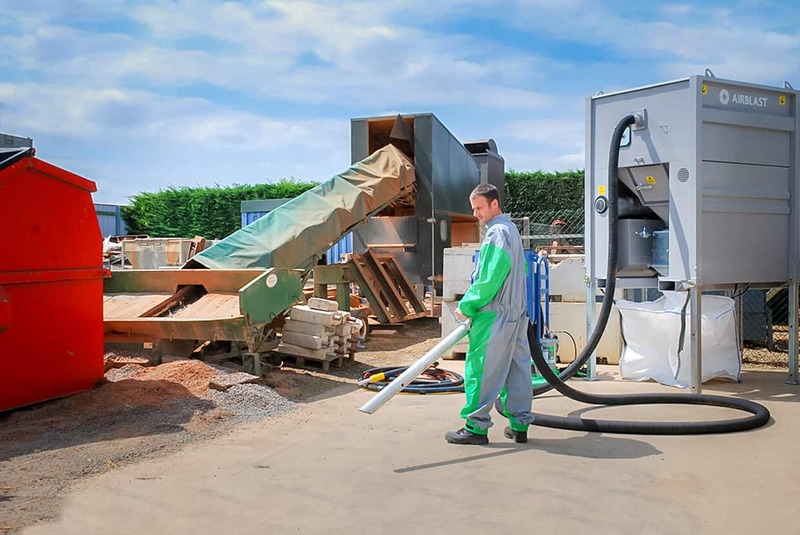 With just two units, a hopper/cyclone, and a dust collector, this unit constitutes a flexible and robust solution with the performance of a larger, more expensive machine. 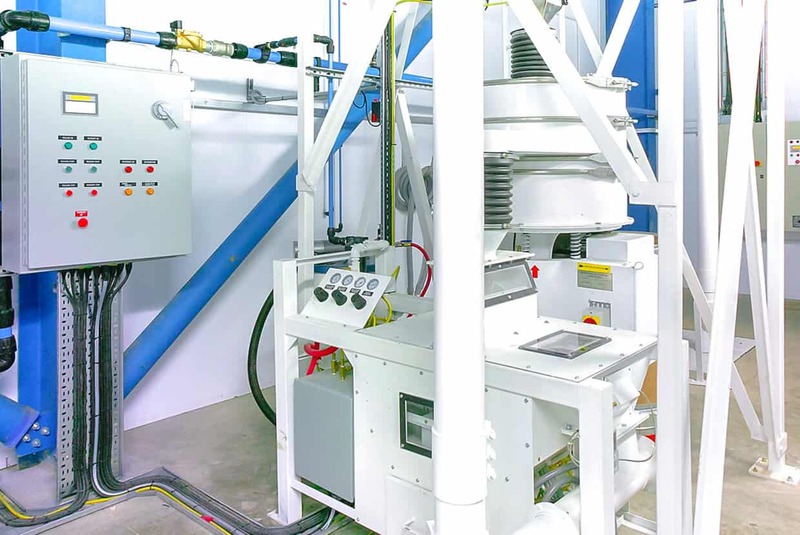 The system can recover solids up to 50mm (2″) in diameter over distances in excess of 100 metres, dependent upon particle size, type of material, volume, and pressure of air supply. Maintenance and operator attention is reduced to a minimum, as the Airvac has only one moving part. With no electrical power required, helping to reduce fire risk in inflammable areas. 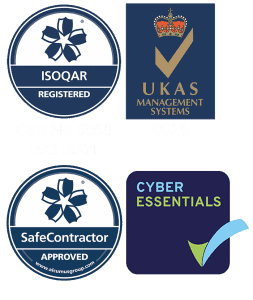 The system conforms to all health and safety at work acts, particularly in respect of the low noise levels, registering just 83db at 2 metres. All material is recovered through the gulper suction head and is drawn via the rubber lined hose into the cyclone. The vortex created separates the very fine dusts from the heavier particles which fall, under gravity, into the hopper. A dump valve on the hopper is operated by an adjustable timer which can be set to suit the rate of recovery. All material dust travels along the flexible intermediate hose to the filter box. Inside the box the 18 filter socks collect the dust as the airstream passes through. Clean air is discharged through the JetPump each time the machine stops by reverse pulsing into the dust compartment situated at the bottom of the filter box. Suction Hose 2 1/2″ I.D. Filtration Cyclonic Primary filter with a 18 sock PNF dust collection system. To view our PDF brochure of the Airvac with Cyclone Separator, please click here. AbVac is an electric-powered suction unit mounted onto a rigid stand designed for the collection of abrasive into a bag. 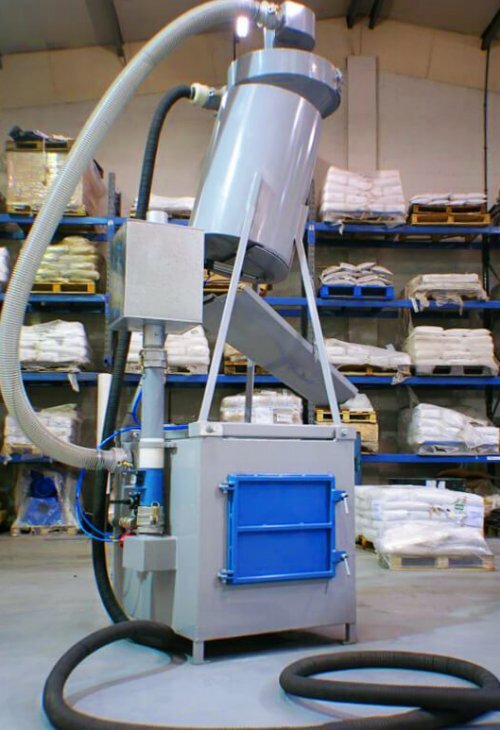 The AbVac is a suction unit mounted onto a rigid stand designed for the collection of abrasive into a bag.